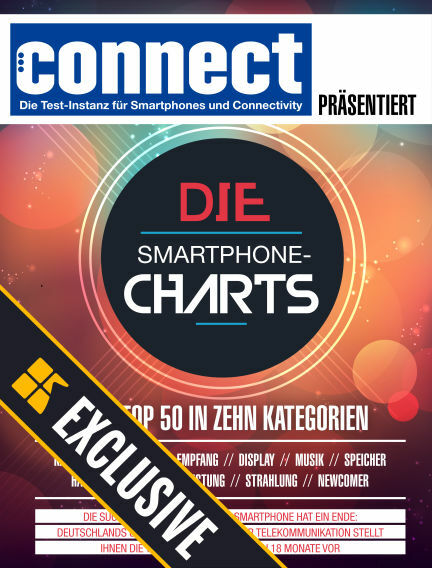 In this issue of Connect Readly Exclusive : connect ist die Test-Instanz für Smartphones und Connectivity, die jeden Monat die neuesten Phones, Notebooks, Tablets und Co auf den Prüfstand stellt. Diese exklusive Sonderausgabe präsentiert die 50 besten Smartphones in zehn Kategorien – hier findet jeder das passende Modell. With Readly you can read Connect Readly Exclusive (issue Top Smartphones) and thousands of other magazines on your tablet and smartphone. Get access to all with just one subscription. New releases and back issues – all included.